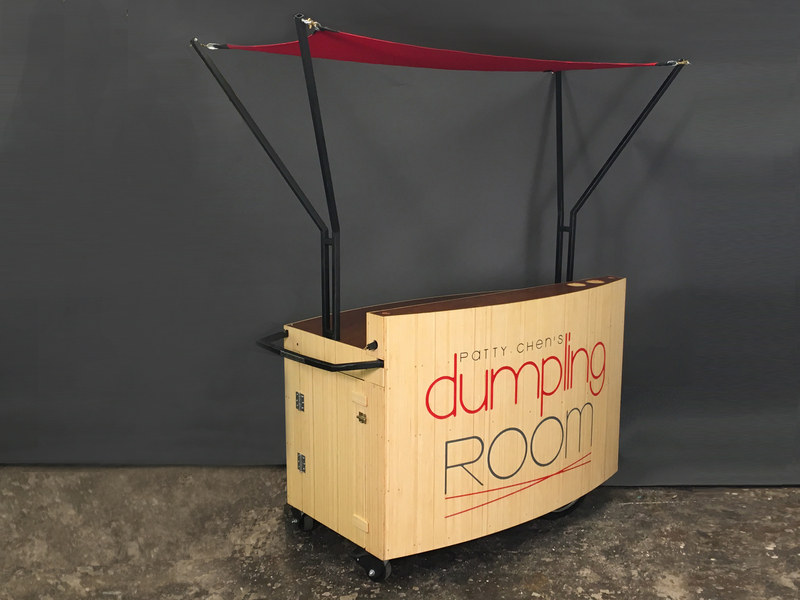 This outdoor vending cart was a commission from Patty Chen’s Dumpling Room, a restaurant in Cambridge MA. 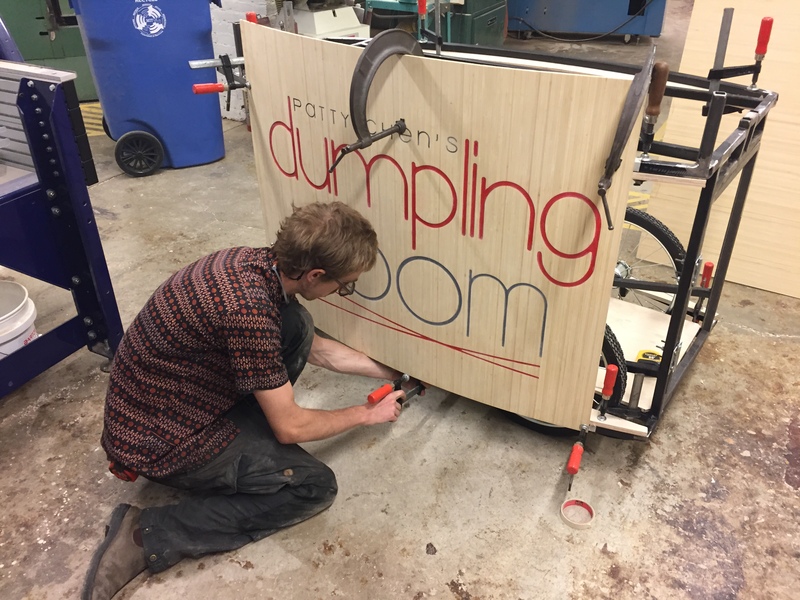 The cart has space for coolers full of dumplings and accommodates four electric stoves for cooking at street festivals and markets. The canopy is made of an elastic nylon fabric and is removable for transport. 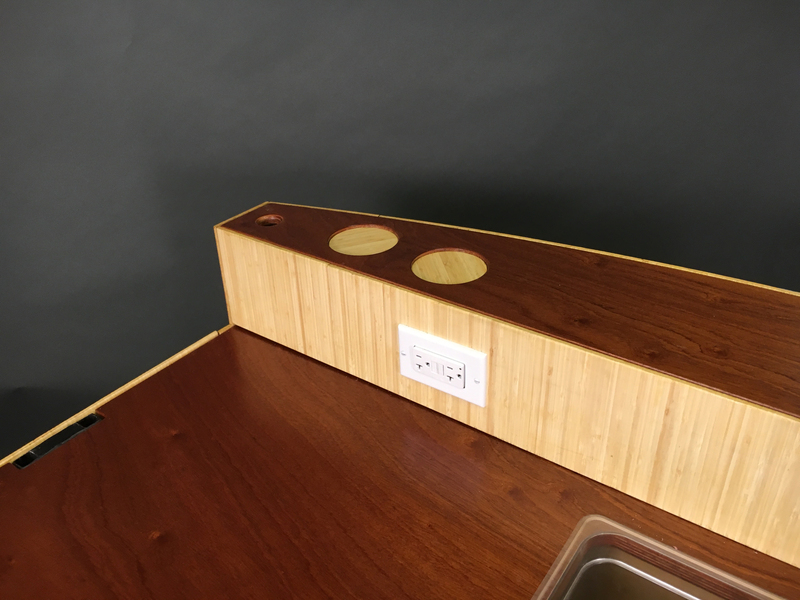 Two ground fault protected outlets are integrated into the backsplash of the cooking area and can be connected to a generator or standard plug. Built with square steel tube, bamboo and mahogany plywood, this cart can withstand outdoor conditions if cared for properly. Shown here without electric stoves installed.